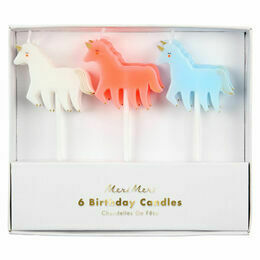 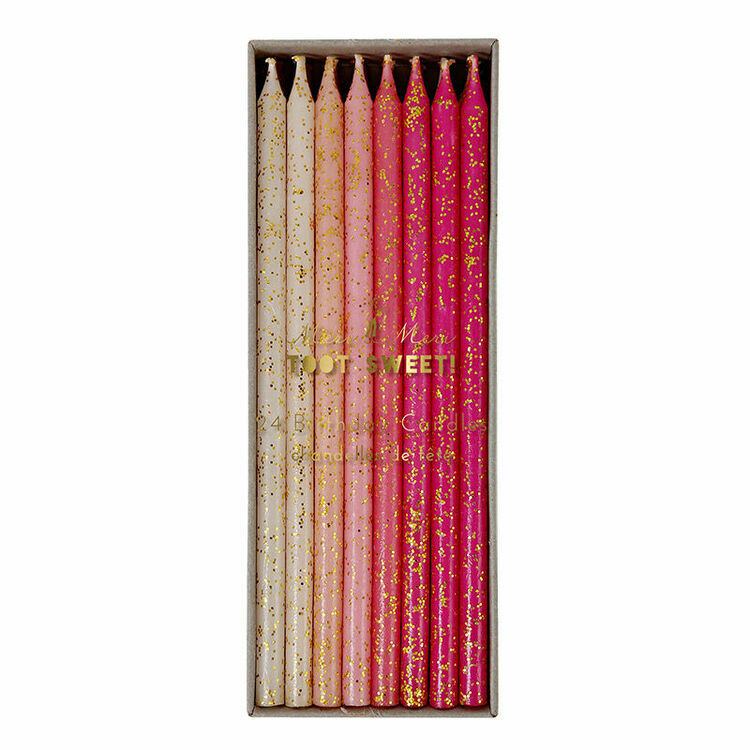 Make a wish with these pink party candles from Meri Meri. 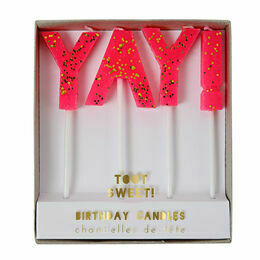 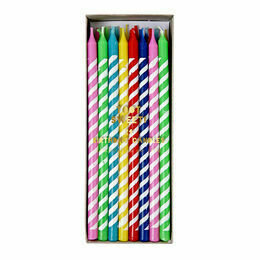 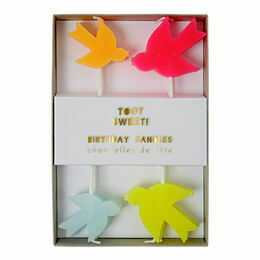 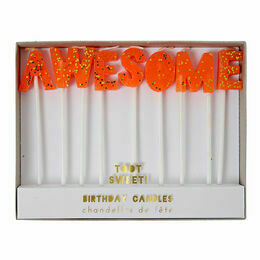 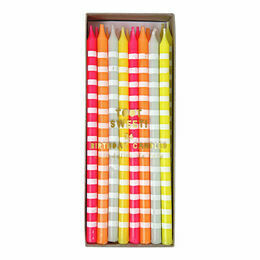 The pack of 24 candles comes in a range of candy colours from ice, through to salmon pink and magenta. 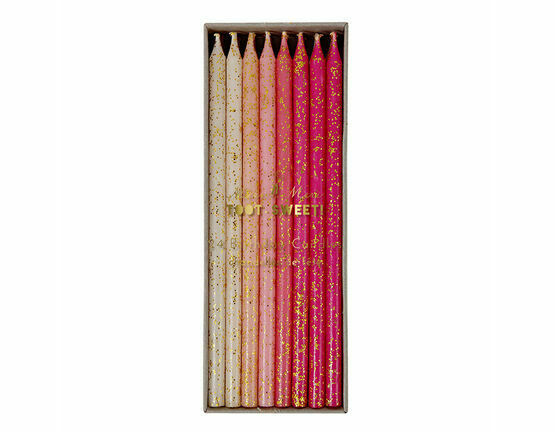 Each candle is finished off with a scattering of gold glitter.